New Aftermarket Replacement John Deere Grille Screens that fits Tractor models: 60, 620, 630, 70, 720, 730, ALL. Row Crop & Standard from Serial # 6043000. Dimensions: 29 3/4" x 21 3/8". Only the 48 contiguous States in the U. Sale Depends on Stock at the Time. 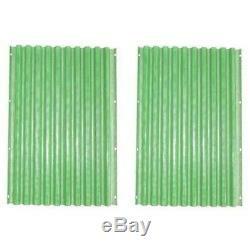 The item "(2) Two New John Deere Tractor Grille Screens A4316R fits 60 620 630 70 720 730" is in sale since Tuesday, November 1, 2011. This item is in the category "Business & Industrial\Heavy Equipment Parts & Accs\Antique & Vintage Equip Parts".